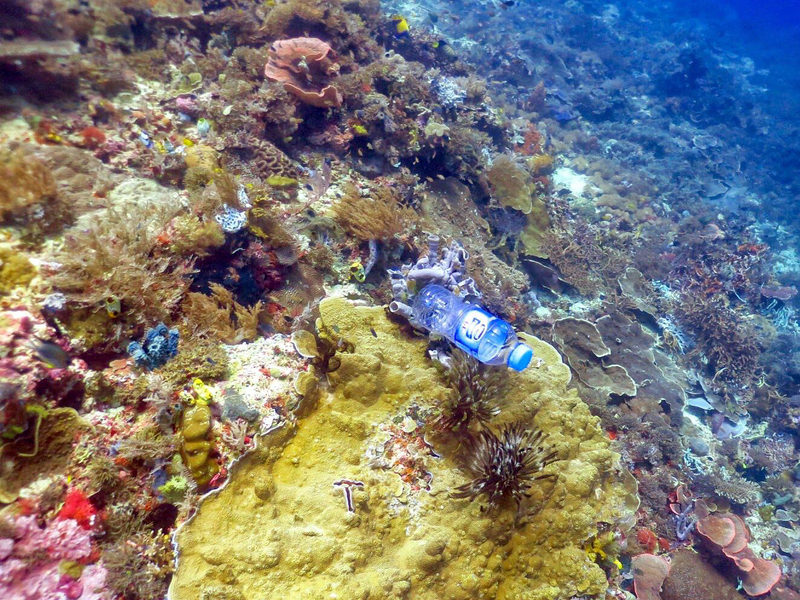 As one of the co-authors, I was greatly surprised at the elevated risk of disease to corals caused by plastic: from 4% in corals without plastic, to 89% in corals with plastic. 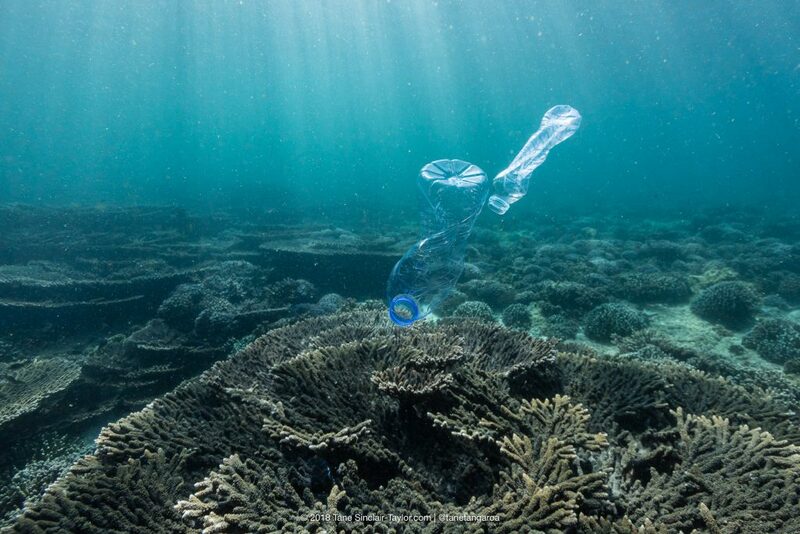 Given that the study estimated that there are already more than 11 billion plastic items on reefs across the Asia-Pacific region, and that plastic loads in the ocean are expected to grow radically, this is bad news indeed. The research was led by Dr. Joleah Lamb from the Atkinson Center for a Sustainable Future at Cornell University, and involved a wide array of coral experts from universities and environmental organizations – including EDF – who together surveyed 159 reefs around the Asia-Pacific region, including 124,000 corals to assess the prevalence of plastics and the association of plastics with coral diseases, as part of a larger study on risks to coral reef health. This study is also one of the first to systematically assess the impact of plastics in the sea at ecosystem scale. While nearly everyone has seen photos of plastic trash inside dead seabirds, or perhaps of a straw in a sea turtle’s nose, actually assessing damage from plastic at ecosystem scale has been difficult. By looking more widely, we have found that the news is indeed as grim as many had feared. As hotspots of marine biodiversity and an important source of socioeconomic wellbeing for hundreds of millions of people, coral reefs are among the world’s most important ecosystems. Corals are also among the most sensitive, suffering – as all ocean lovers know – from bleaching caused by warming waters, overgrowth by algae caused by nutrient pollution and countless other threats. The greatest threats to coral ecosystems are systematic global overfishing and the large-scale impacts of global climate change. Overfishing impacts corals when removal of big fish interrupts ecological processes that maintain reefs (e.g., herbivores that keep down overgrowing algae, or predators that balance out overall fish and invertebrate populations). All of these threats have some experts fearing that only a small percentage of today’s corals will make it through the next few decades. So, what do we do with this new and additional bad news? 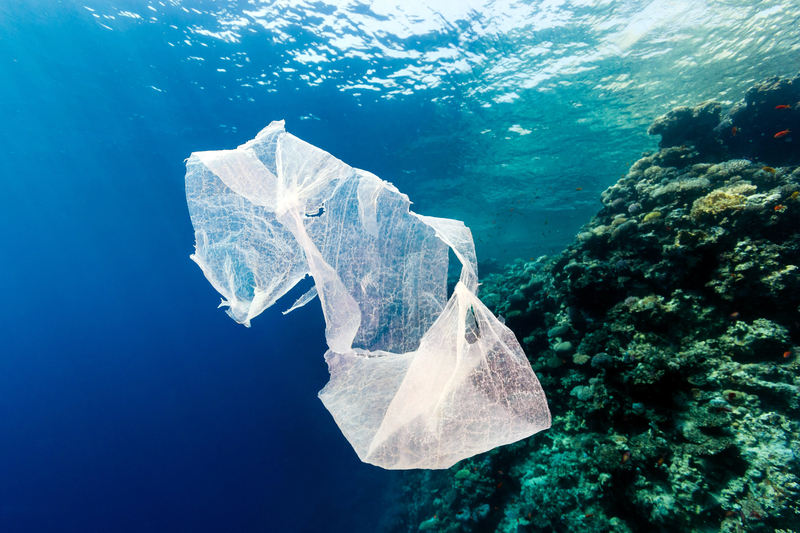 Thankfully, several groups are already engaged in reducing rates of plastics’ movement into the ocean. Plus, many organizations are engaged in addressing other threats to reefs, both locally through improved management of marine protected areas (MPAs) and regionally through the systematic identification of reefs with the best chances of making it through the coming coral bottleneck. Others are working to find ways to enhance adaptation in corals to improve their survivability. Still others are focused on strategies to maintain coral germ plasm in laboratories, so corals can be reintroduced into proper temperature zones once the climate-induced bottleneck has passed. And finally, many others – including EDF – are heavily engaged in the hard work of reducing emissions that result in warming and acidification. Without success on reducing emissions, corals are toast. Of course even with success there, waters will continue to warm and acidify for several decades. 1) What happens to the majority of today’s coral world that may not be in the survival zone? 2) What happens to the people whose livelihoods depend upon these ecosystems? We believe that the best strategy to address both of these questions – starting today – is to enhance the prevalence of all kinds of fish big enough to catch on coral reefs of all degrees of impairment. The total abundance of big fish has been linked to important factors of reef health around the world. More research is needed to determine whether enhancing fish abundance can establish greater resilience in reefs, or even begin rebuilding reef ecosystem health. We are in the early stages of researching and demonstrating this link in various places around the coral world, with especially important progress underway in Belize. In Belize, healthy thriving reefs are critical as they support thousands of people who rely on fishing for food and livelihoods, through both the fishing and tourism industries. Belizeans are transforming their ocean fishing using a “managed access approach” that is already yielding positive results for fishing communities based initially on the valuable conch and lobster fisheries. In the crucial next step, fishermen, scientists, managers and other officials are working together to build a systematic management approach for reef-associated finfishes. The goal is to rebuild the total biomass of large fish and improve reef health. Of course, fighting overfishing does not directly undo disease risks caused by plastic. But fixing overfishing could help offset damage done to individual corals by enhancing the overall prospects for coral ecosystem maintenance. It would be a delicious irony if combatting overfishing – the biggest overall global threat to reef ecosystems – can also become a key to long-term coral persistence! This entry was posted in International, Science/Research and tagged Coral Reefs, Ecosystems, plastic, plastic pollution. Bookmark the permalink. Both comments and trackbacks are currently closed.